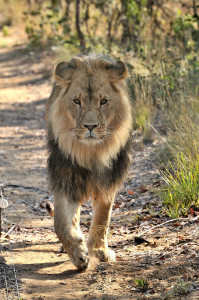 The Lion Foundations strives to return the rescued animals, whenever possible, to their natural habitats. Because all animals at the foundation were kept in captivity, they cannot survive in the wild. They are not used to natural enemies and have never had to hunt for their own food. It is possible, however, to relocate the animals to an enclosed natural reserve in their land of origin, where they can be closely observed. The Lion Foundation has established partnerships with two big rescue organisations, Emoya and WFFT, where the sheltered animals will go as soon as they are strong enough to live in their natural surroundings. Emoya is rescue facility for big cats in the Bahati nature reserve in South Africa. The 6000 hectare reserve offers rehabilitated animals their own enclosed piece of land. In the first year this is about 1 hectare. During this time they can adjust to their new surroundings, while being closely observed by the rangers, who also feed them. After this first year they will have more land at their disposal. Depending on their age and health this could be as much as a thousand hectares. On a stretch of land this big, the animals will be able to hunt for food. However, most big cats will live on 1 to 2 hectares. Volunteers will make sure the animals are fed, while keeping contact with the animals to a minimum. This makes the lions less accustomed to human interference and allows them to learn to survive in the wilderness. May 2015 Masrya and Nero were the first lions to move from the Lion Foundation to Emoya, followed in May 2016 by Asali, Nala and Tristan. In 2017, Bruno and Omar will follow. …that fencing a piece of land within the reserve for two lions costs € 20,000? 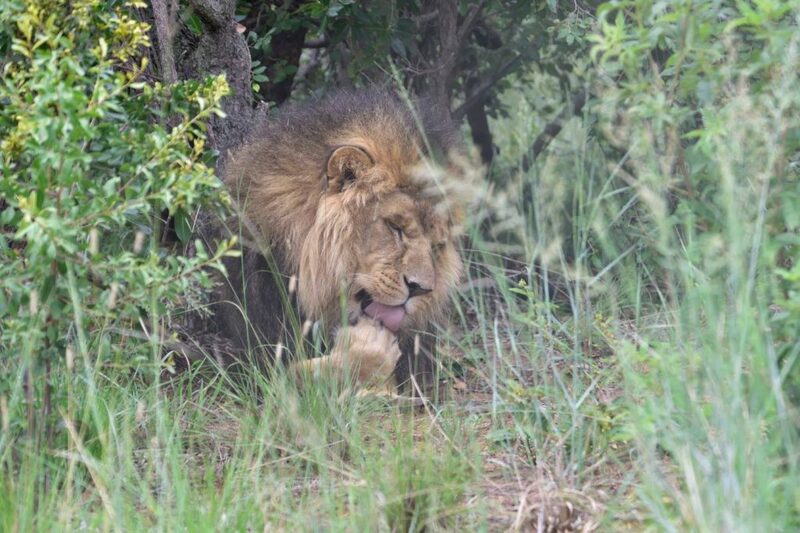 Help the lions return to their land of origin, by becoming a donor. De Wildlife Friends Foundation Thailand (WFFT) is the biggest rescue facility for wild animals in South East Asia. The Lion Foundation has established a partnership with this organisation, to rehabilitate Bengal tigers to their natural habitat. WFFT owns a big piece of jungle, where tigers that are young and strong enough are given their own enclosed piece of nature, where they can live freely. When the paperwork in Thailand is ok the first tigers will move from the Lion Foundation to this rescue facility in Thailand. …that a transport cage for a tiger costs €2,000? The flight to Thailand costs another €2,500. Will you help return more tigers to the wild? Some of our siberian tigers are nominated to be moved to an enclosed nature reserve in Russia, where hopefully they will have cubs. In this reserve they will not be fed pieces of meat, but will have to hunt for hares and deer. Cubs raised by hunting parents can be released into the wilderness after two years. Currently we are looking for a suitable male for Valesca. When we have found one, they will both be moved as well. Want to know more about becoming a volunteer at Emoya or Wildlife Friends Foundation Thailand? Visit www.emoya.org.za or www.wfft.org for more information and their story.